Rose, Colin. 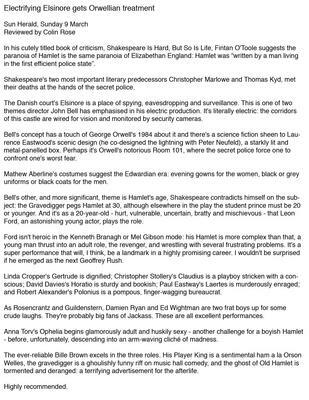 "Electrifying Elsinore gets Orwellian treatment." Sun Herald 9 March 2003.